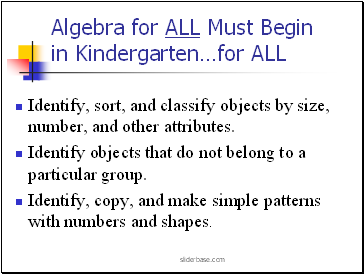 Identify, sort, and classify objects by size, number, and other attributes. Identify objects that do not belong to a particular group. Identify, copy, and make simple patterns with numbers and shapes. 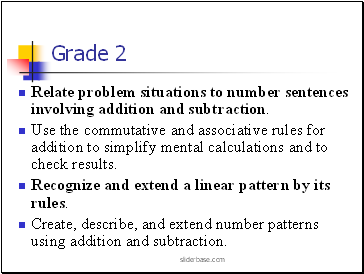 Write and solve number sentences from problem situations involving addition and subtraction. Create word problems that match given number sentences involving addition and subtraction. 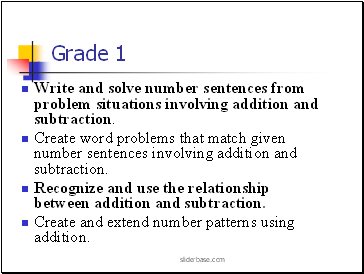 Recognize and use the relationship between addition and subtraction. Create and extend number patterns using addition. 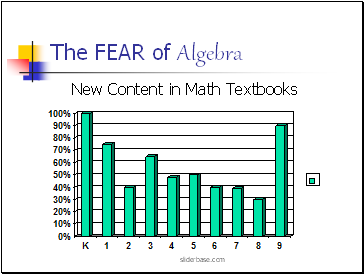 Relate problem situations to number sentences involving addition and subtraction. 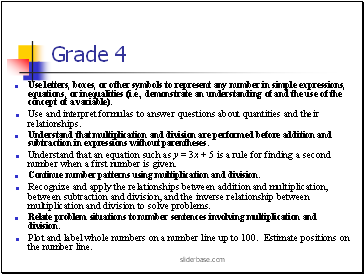 Use the commutative and associative rules for addition to simplify mental calculations and to check results. Recognize and extend a linear pattern by its rules. Create, describe, and extend number patterns using addition and subtraction. 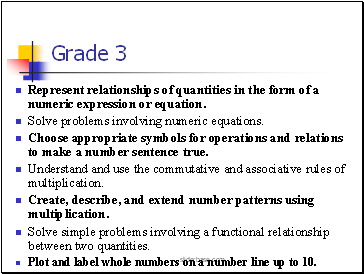 Represent relationships of quantities in the form of a numeric expression or equation. 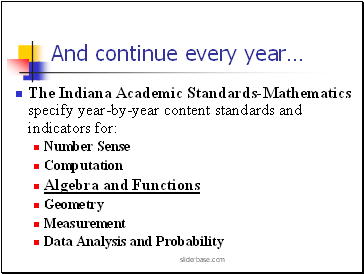 Solve problems involving numeric equations. Choose appropriate symbols for operations and relations to make a number sentence true. Understand and use the commutative and associative rules of multiplication. Create, describe, and extend number patterns using multiplication. Solve simple problems involving a functional relationship between two quantities. Plot and label whole numbers on a number line up to 10. 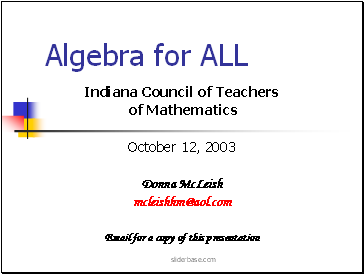 Use letters, boxes, or other symbols to represent any number in simple expressions, equations, or inequalities (i.e., demonstrate an understanding of and the use of the concept of a variable). So… How do we teach it? Let’s give our students the same opportunity.